Sometimes we find a thing in a store that is great for the décor, but not so great for the pocketbook. And we tighten our belts to buy this very piece. But sometimes it would be nice to take your time, since most pieces of furniture and accessories that we like much have equivalents that are far cheaper and almost identical. To prove our point of view we collected 10 examples of cheap and expensive things for the garden with approximate average prices in US dollars. The framework of the Ninja grey lounge sofa by Brafab is made in aluminum and braided with faux rattan. The canopy is made from waterproof fabric. The Lewistown daybed by OBI can be transformed into a sofa with a folding canopy and an open seat. The materials of the framework are identical: aluminum plus faux rattan. The Junior bean bag by Fatboy is made from nylon, which is easily cleaned with soar solution. The nylon slip cover of a square-shaped Zen Lounger bean bag by AmbienteLounge can be either hand-washed or cleaned in a washing machine. Thermoplastic, in which the Roy stool by Kartell is made, allows for using it outdoors, and a quite significant diameter (45 cm) turns it into a full-fledged coffee table if needed. 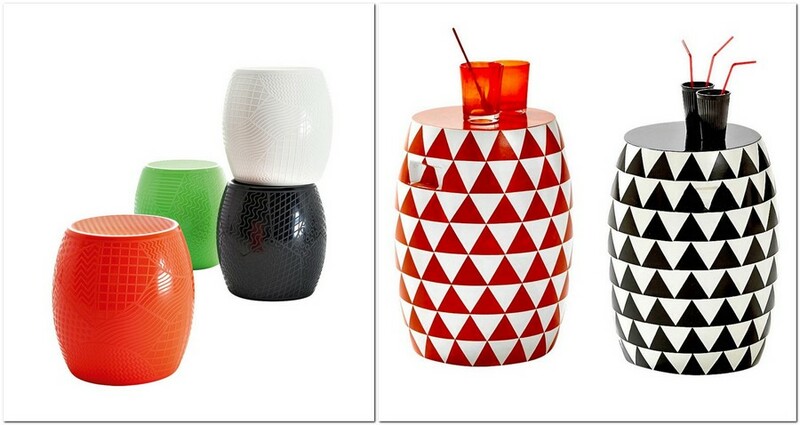 An alternative stool by LaRedoute is made from cement canvas and dressed up with black-and-white and red-and-yellow triangles. The diameter of the model is 35 cm and the height is 46 cm, which also allows for using it as a compact table. Thanks to its double width (1.75 meters), a stripy Paradiso Tropical hammock by Amazonas can give shelter to 2 persons at a time, given that their total weight doesn’t exceed 200 kilos. The alternative stripy CMI hammock by OBI is designed for people, whose total weight is up to 100 kilos. The length of this textile entertainment piece is 1.98 meters, the width is 0.91 meters. The set includes two wooden planks fixing the width of the hammock and a pillow. The Karlo model by Brafab is made in natural teak wood. Over time this material is likely to fade from sunlight, and you’ll need to treat it with teak oil to restore the original color. The Greenville chaise lounge is made in eucalyptus wood, equipped with two big wheels making it more mobile and an adjustable headrest. Cleaning up on a terrace or verandah would be far easier with extra-big (49cm х 45cm х 28cm) leather Brunello bag by Eichholtz. It’s big enough for storing blankets. 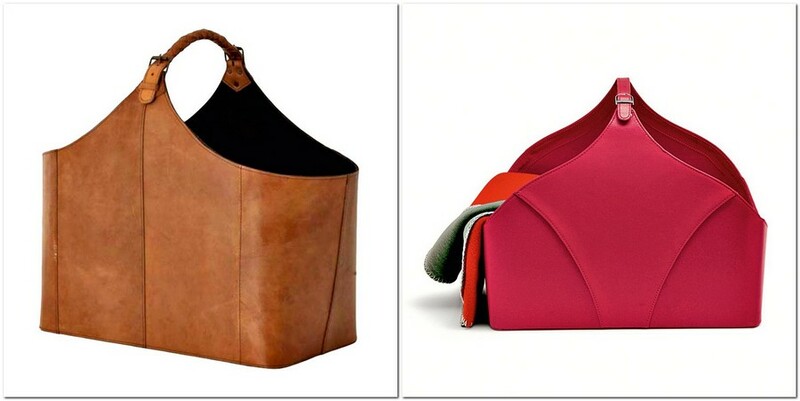 And made in practical PVC material, the Utility bag by Calligaris would be useful both indoors and outdoors. The Teak Adirondack arm-chair by PotteryBarn is a modern replica of the world famous Westport model, also frequently referred to as Adirondack and created back in 1904. While the Zeda arm-chair by La Redoute reproduces the iconic American arm-chair in natural acacia wood, which was painted like teak. 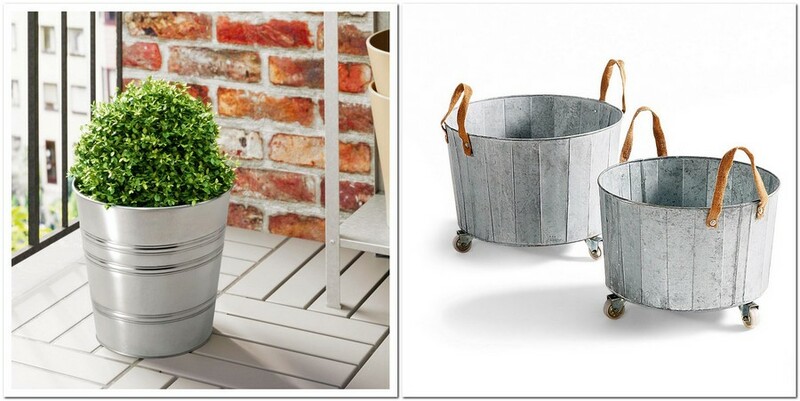 The Socker collection of plant pots in galvanized steel by IKEA is available in several diameters: 12, 14 and 19 cm. The Aissa pots by La Redoute have bigger diameters – 41 and 45 cm, wheels and jute handles. 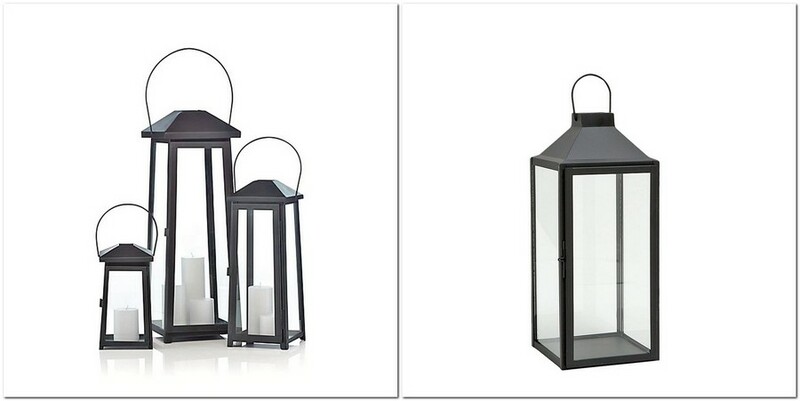 Elegant black Petaluma lanterns on four legs by Crate and Barrel should be better brought indoors in heavy rainfall. And a candle put inside a decorative lantern by Zara Home is well protected from the wind by a locking door.